A perfect little gift for the keen gardener or cook this box contains: Sweet Apple Chutney 240gStrawberry Extra Jam 227g Two Plant Pots and Wooden Tray. Kitchen Garden Favourites includes two award-winning preserves - Sweet Apple Chutney, a slightly spicy accompaniment to hard cheeses or hot roast pork, and best-selling Strawberry Extra Jam, made with the finest ingredients in small batches to create a wonderful homemade taste. 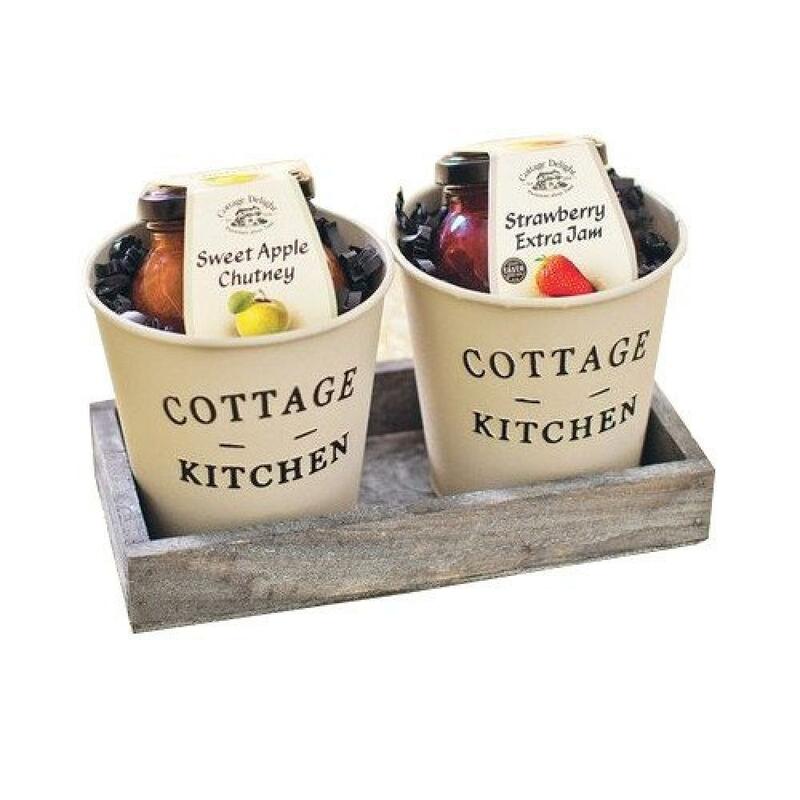 Presented in two beautiful classic Cottage Kitchen plant pots and a rustic wooden tray, to offer an attractive gift that can be used beyond the festive season. Sweet Apple Chutney Ingredients: Component Bramley apple (30%), Sugar, Cider vinegar, Gelling agent: Pectin, Muscovado sugar, Sultanas, Dried onion flakes, Salt, Spices, Acidity regulator: Citric acid. Strawberry Jam Ingredients: Strawberries, Sugar, Gelling agent: Pectin, Acidity regulator: Citric acid, Concentrated lemon juice, Processing aid: Salted butter (from Milk).